∙ Accept my body... lovingly. ∙ Recognize where I was then and where I am today. ∙ Eat consciously and be aware. Today I am headed to doctor for my 2 year post-op check-up. I'm still not under 200 lbs. (As he insisted I should be by my next visit with him). I'd be lying if I said that isn't killing me inside -- as if I failed in some way. It easily makes me feel like a failure if I let it. It's hard -- it reminds me so much of when I was a kid and couldn't lose the weight under the threat of losing opportunities to do the things I loved. Donna, which food journal site do you use? 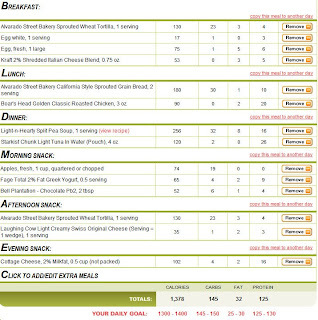 Megameggs, I've used several different food journaling tools, but as far as the free ones, I like sparkpeople.com the best.